Review by Rocky Rhoades in The Valley View... The back of the slickly packaged CD begins the story like this: “In which Red, a self-centered young woman, searches for love, falls hard, but can’t commit, and becomes the bad woman we’ve all been warned about - spoiled, egotistical, rich and famous…” Others may have written the 13 songs on "Help a Good Girl Go Bad", but the choices, as always, are all Wendi’s, and by the end, along with the unstoppable Tres Hot Jazz, she makes her own unique mark on every single track...."
Listen to "Help a Good Girl Go Bad", download tracks, or purchase a CD. 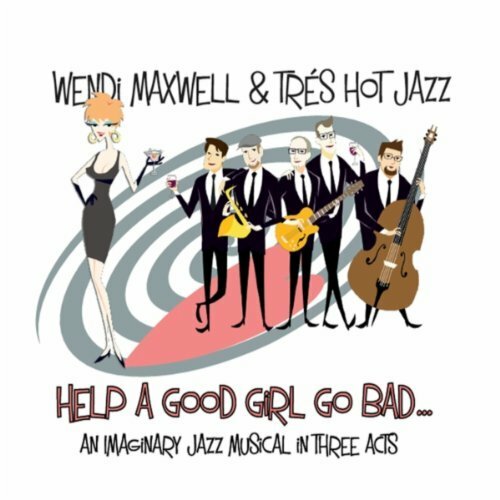 "Uptown sophistication mixed with downtown swagger..." Wendi Maxwell and her straight-ahead jazz quartet bring fun and excitement to classic jazz standards, little-known gems, and sassy up-tempo swing and sambas." 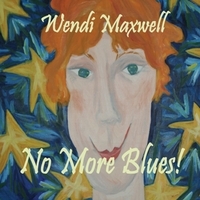 A note from Wendi... "This first album represents my philosophy of life - no more blues, nothing but happiness! We had great fun recording these songs during two mini-marathons a few months apart. We wanted to capture the excitement of our live performances, and the album fully succeeds. We're delighted with the response to the album - the first order of CDs sold out in two weeks! Jazz fans tell me they love the song choices and arrangements, while folks who thought they didn't like jazz call up and tell me their favorite tunes." ​Listen to "No More Blues," download tracks, or purchase a CD.